Click here for Overdrive instructions. 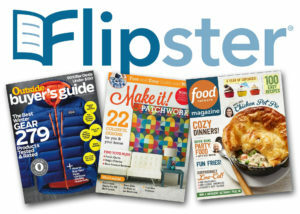 Flipster features dozens of popular titles, back issues and printing options. Magazines can be accessed online using computer and mobile devices or saved for offline viewing through an app compatible with most devices, including the Kindle Fire. 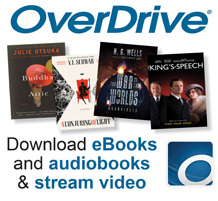 Hundreds of movies and TV series are available to stream through Overdrive. Start streaming. Borrow one of the library’s ready-to load Kindles. Free eBooks from Project Gutenberg. Thousands of eBooks available for iPad, Kindle, Nook, Sony Reader, iPhone and Android. Call 518-439-9314 and press 2 OR ask a librarian.